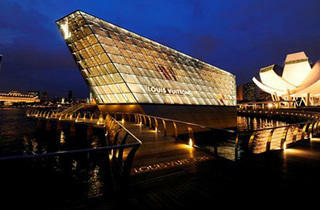 Visit the super-chic designer brand’s ‘island’ store – a glass-and-steel Crystal Pavilion that ‘floats’ on the water, smack bang on Marina Bay. We think it definitely compares with the Takashi Murakami-themed store in Tokyo. 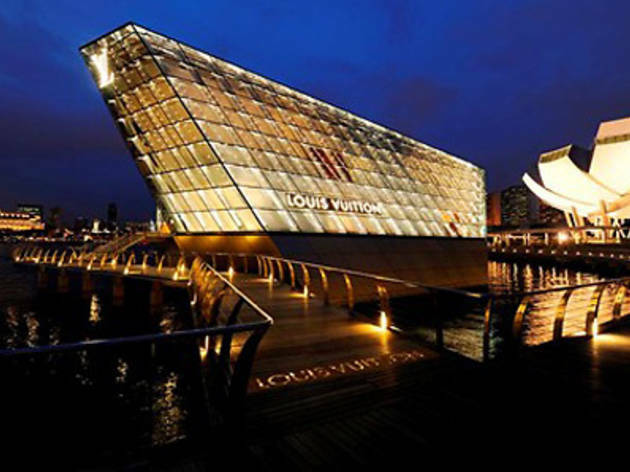 Which is just as well, as this is Louis Vuitton’s flagship in South East Asia. The usual suspects – luggage, bags, jewellery are all available for fashionistas who’ve got lucky at the casino. The rest of us can pretend we’re only there to admire the architecture.